Listen to Karl Schieneman, Director of Analytics and Review with JurInnov, talk with a panel of attorneys who are associates with significant electronic discovery responsibilities at large law firms about their experiences with key words. With the big push on cooperating to reduce costs and improve discovery, we take on one of the big issues in electronic discovery, key word searching. Can you cooperate on key words and gain real efficiencies? 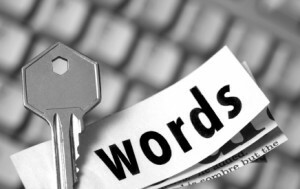 Why do we battle over key words? Does this lead us any closer to finding relevant ESI or are we just creating review time and motions court work when there is a lack of agreement over key words? Today’s show brings together a team of law firm associates who know best the pain that key words can cause to a project because they are the ones who live with the key word mess in a case. Participants include Alexandra Chopin from Patton Boggs and based in Washington, DC, Brian Pandya from Wiley Rein, LLP and also based in Washington DC, Brendan Schulman an associate with New York City based Kramer Levin Naftalis & Frankel LLP, and plaintiff lawyer James Batson from Liddler & Robinson in New York City. This show came about from talking to some of these associates about issues they see in electronic discovery and what the pain points are. We are going to delve deeper into this mess and see if we can identify better solutions as well as expose some of the troubles key words can cause in the real world of an e-discovery case.